Ogasawara, H. (1989). Covariance structure analysis of continuously changing populations. Behaviormetrika, No.25, 15-33. Ogasawara, H. (1990). Covariance structure model when the means and the covariances are functions of the third variable. Japanese Psychological Research, 32 (1), 19-25. Ogasawara, H. (1995). Structural model of ability distribution in the item response theory. Behaviormetrika, 22 (1), 37-48. Ogasawara, H. (1995). The gamma-gamma regression for the distribution model of event times. Japanese Psychological Research, 37 (2), 70-79. Ogasawara, H. (1996). Rasch's multiplicative Poisson model with covariates. Psychometrika, 61 (1), 73-92. Ogasawara, H. (1998). A factor analysis model for a mixture of various types of variables. Behaviormetrika, 25 (1), 1-12. Ogasawara, H. (1998). Standard errors for rotation matrices with an application to the promax solution. British Journal of Mathematical and Statistical Psychology, 51, (1), 163-178. Ogasawara, H. (1998). Standard errors of several indices for unrotated and rotated factors. Economic Review, Otaru University of Commerce, 47 (1), 21-69. Ogasawara, H. (1998). A log-bilinear model with latent variables. Behaviormetrika, 25 (2), 95-110. Ogasawara, H. (1999). Standard errors for procrustes solutions. Japanese Psychological Research, 41 (2), 121-130. Ogasawara, H. (1999). Standard errors for matrix correlations. Multivariate Behavioral Research, 34 (1),103-122. Ogasawara, H. (1999). Negative binomial factor analysis. Behaviormetrika, 26 (2), 235-250. Ogasawara, H. (2000). On the standard errors of rotated factor loadings with weights for observed variables. Behaviormetrika, 27 (1), 1-14. Ogasawara, H. (2000) Some relationships between factors and components. Psychometrika, 65 (2), 167-185 (errata, 65 (4), 551). Ogasawara, H. (2000). Asymptotic standard errors of IRT equating coefficients using moments. Economic Review, Otaru University of Commerce, 51 (1), 1-23. Ogasawara, H. (2000). Standard errors for the Harris-Kaiser Case II orthoblique solution. Behaviormetrika, 27 (2), 89-103. Ogasawara, H. (2000). Asymptotic correlations between rotated solutions in factor analysis. Behaviormetrika, 27 (2), 105-123. Ogasawara, H. (2000). Standard errors of the principal component loadings for unstandardized and standardized variables. British Journal of Mathematical and Statistical Psychology, 53 (2), 155-174. Ogasawara, H. (2001). Standard errors of item response theory equating/linking by response function methods. Applied Psychological Measurement, 25 (1), 53-67. Ogasawara, H. (2001). Approximations to the distributions of fit indexes for misspecified structural equation models. Structural Equation Modeling, 8 (4), 556-574. Ogasawara, H. (2001). Item response theory true score equatings and their standard errors. Journal of Educational and Behavioral Statistics, 26 (1), 31-50. Ogasawara, H. (2001). Least squares estimation of item response theory linking coefficients. Applied Psychological Measurement, 25 (4), 373-383. Ogasawara, H. (2001). Standard errors of fit indices using residuals in structural equation modeling. Psychometrika, 66 (3), 421-436. Ogasawara, H. (2002). Concise formulas for the standard errors of component loading estimates. Psychometrika, 67 (2), 289-297. Ogasawara, H. (2002). Stable response functions with unstable item parameter estimates. Applied Psychological Measurement, 26 (3), 239-254. Ogasawara, H. (2002). Asymptotic standard errors of estimated standard errors in structural equation modeling. British Journal of Mathematical and Statistical Psychology, 55 (2), 213-229. Ogasawara, H. (2003). A note on the approximate distributions of fit indexes for misspecified structural equation models. In H. Yanai, A. Okada, K. Shigemasu, Y. Kano & J. J. Meulman (Eds. ), New developments in psychometrics: Proceedings of the International Meeting of the Psychometric Society IMPS2001, Osaka, Japan, July 15-19, 2001 (pp. 103-108). Tokyo: Springer. Ogasawara, H. (2003). Correlations among maximum likelihood and weighted/unweighted least squares estimators in factor analysis. Behaviormetrika, 30 (1), 63-86. Ogasawara, H. (2003). Asymptotic standard errors of IRT observed-score equating methods. Psychometrika, 68 (2), 193-211. Ogasawara, H. (2004). Asymptotic biases of the unrotated/rotated solutions in principal component analysis. British Journal of Mathematical and Statistical Psychology, 57 (2), 353-376. Ogasawara, H. (2004). Asymptotic biases of least squares estimators in stuctural equation modeling. In S. P. Shohov (Ed. ), Advances in psychology research: Vol. 27. (pp. 65-94). New York: Nova. Ogasawara, H. (2004). Asymptotic biases in exploratory factor analysis and stuctural equation modeling. Psychometrika, 69 (2), 235-256. Ogasawara, H. (2005). Bias reduction of estimated standard errors in factor analysis. Behaviormetrika, 32 (1), 9-28. Ogasawara, H. (2005). Asymptotic robustness of the asymptotic biases in stuctural equation modeling. Computational Statistics and Data Analysis, 49 (3), 771-783. Ogasawara, H. (2006). Asymptotic expansion of the sample correlation coefficient under nonnormality. Computational Statistics and Data Analysis, 50 (4), 891-910. Ogasawara, H. (2006). Asymptotic expansion and conditional robustness for the sample multiple correlation coefficient under nonnormality. Communications in Statistics - Simulation and Computation, 35 (1), 177-199. Ogasawara, H. (2006). Approximations to the distribution of the sample coefficient alpha under nonnormality. Behaviormetrika, 33 (1), 3-26. Ogasawara, H. (2006). Two-term Edgeworth expansion of the distributions of the maximum likelihood estimators in factor analysis under nonnormality. In A. Rizzi & M. Vichi (Eds. ), Proceedings in Computational Statistics on CD, 17th symposium held in Rome, Italy, 2006 (pp.1681-1688). Heidelberg: Physica-Verlag. Ogasawara, H. (2007). Higher-order estimation error in structural equation modeling. Economic Review, Otaru University of Commerce, 57 (4), 131-160. Ogasawara, H. (2007). Higher-order approximations to the distributions of fit indexes under fixed alternatives in structural equation modeling. Psychometrika, 72 (2), 227-243. Ogasawara, H. (2007). Asymptotic expansions of the distributions of estimators in canonical correlation analysis under nonnormality. Journal of Multivariate Analysis, 98 (9), 1726-1750. 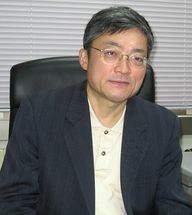 Ogasawara, H. (2007). Asymptotic expansion of the estimators in factor analysis under nonnormality. British Journal of Mathematical and Statistical Psychology, 60 (2), 395-420. Ogasawara, H. (2008). Asymptotic expansion in reduced rank regression under normality and nonnormality. Communications in Statistics - Theory and Methods, 37 (7), 1051-1070. Ogasawara, H. (2008). Asymptotic expansions of the distribution of the estimator for the generalized partial correlation under nonnormality. Behaviormetrika, 35 (1), 15-33. Ogasawara, H. (2008). Inverse transformation of Hall's method back to Edgeworth type expansions: An expository note. In K. Shigemasu, A. Okada, T. Imaizumi, & T. Hoshino (Eds. ), New trends in psychometrics (pp.365-400). Tokyo: Universal Academy Press. Ogasawara, H. (2009). Two-term Edgeworth expansions of the distributions of fit indexes under fixed alternatives in covariance structure models. Economic Review, Otaru University of Commerce, 59 (4), 41-48. Ogasawara, H. (2009). Stratified coefficients of reliability and their sampling behavior under nonnormality. Behaviormetrika, 36 (1), 49-73. Ogasawara, H. (2009). Asymptotic expansions in the singular value decomposition for cross covariance and correlation under nonnormality. Annals of the Institute of Statistical Mathematics, 61 (4), 995-1017. Ogasawara, H. (2010). Accurate distribution and its asymptotic expansion for the tetrachoric correlation coefficient. Journal of Multivariate Analysis, 101 (4), 936-948. Ogasawara, H. (2010). Asymptotic expansions for the pivots using log-likelihood derivatives with an application in item response theory. Journal of Multivariate Analysis, 101 (9), 2149-2167. Ogasawara, H. (2011). Applications of asymptotic expansion in item response theory linking. In A. A. von Davier (Ed. ), Statistical models of test equating, scaling, and linking (pp.261-280). New York: Springer. Ogasawara, H. (2012). Cornish-Fisher expansions using sample cumulants and monotonic transformations. Journal of Multivariate Analysis, 103 (1), 1-18. Ogasawara, H. (2012). Asymptotic expansions of the distributions of the least squares estimators in factor analysis and structural equation modeling. In R. Chakraborty, C. R. Rao, & P. K. Sen (Eds. ), Handbook of statistics: Vol.28. Bioinformatics in human health and heredity (pp. 163-200). New York: Elsevier. Ogasawara, H. (2012). Asymptotic cumulants of functions of multinomial sample proportions with adjustment for empty cells. Behaviormetrika, 39 (2), 211-241. Ogasawara, H. (2013). Estimation of ability with reduced asymptotic mean square error in item response theory. Journal of The Japan Statistical Society, 43 (2), 187-202. Ogasawara, H. (2014). Estimation of ability using pseudocounts in item response theory. Behaviormetrika, 41 (1), 131-146. Ogasawara, H. (2016). Bias correction of the Akaike information criterion in factor analysis. Journal of Multivariate Analysis, 149, 144-159. Ogasawara, H. (2016). Optimal information criteria minimizing their asymptotic mean square errors. Sankhya, B, 78 (1), 152-182. Ogasawara, H. (2016). Matching pseudocounts for interval estimation of binomial and Poisson parameters. Communications in Statistics - Theory and Methods, 45 (17), 5166-5178. Ogasawara, H. (2017). Distribution-free properties of some asymptotic cumulants for the Mallows Cp and its modifications in usual and ridge regression. Behaviormetrika, 44, 25-56. Ogasawara, H. (2017). A family of the adjusted estimators maximizing the asymptotic predictive expected log-likelihood. Behaviormetrika, 44, 57-95. Ogasawara, H. (2017). Extensions of Pearson's inequality between skewness and kurtosis to multivariate cases. Statistics and Probability Letters, 130, 12-16. Ogasawara, H. (2017). Identified and unidentified cases of the three- and four-parameter models in item response theory. Behaviormetrika, 44, 405-423. Ogasawara, H. (2018). Asymptotic biases of information and cross-validation criteria under canonical parametrization. Communications in Statistics - Theory and Methods (on-line published). Ogasawara, H. (2019). The multivariate Markov and multiple Chebyshev inequalities. Communications in Statistics - Theory and Methods (on-line published). Ogasawara, H. (2019). Some improvements on Markov's theorem with extensions. The American Statistician (on-line published). Ogasawara, H. (2019). Alternative expectation formulas for real-valued random vectors. Communications in Statistics - Theory and Methods (on-line published). Ogasawara, H. The inverse survival function for multivariate distributions and its application to the product moment. To appear in Statistics and Probability Letters. Ogasawara, H. The echelon Markov and Chebyshev inequalities.To appear in Communications in Statistics - Theory and Methods.